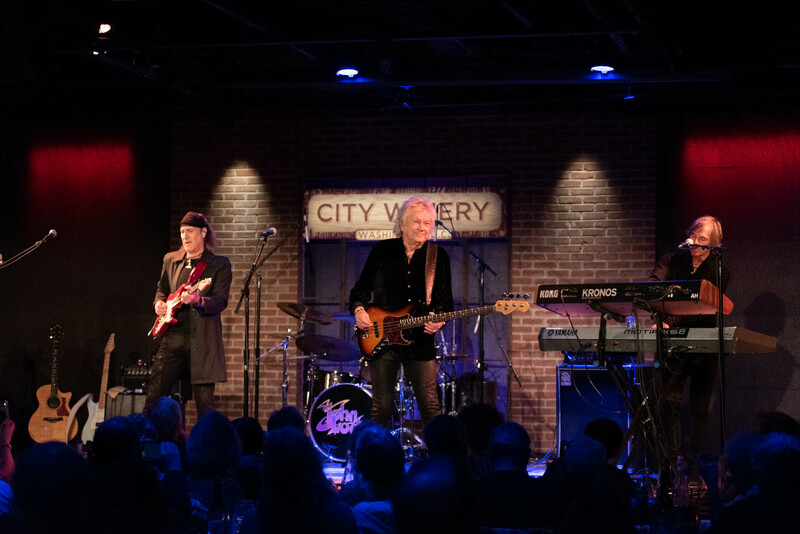 John Lodge, bass player for the Rock and Roll Hall of Fame band The Moody Blues performed on Sunday Oct 14th at the City Winery in downtown Washington DC for an intimate group of energetic fans. John Lodge and his band started the show at 8pm sharp which is unusual. Usually shows start at least a few minutes late but not this show. I have been a fan of The Moody Blues ever since I was a kid. I am not young, but there were a lot of fans at this show that have been fans of The Moody Blues since the beginning of the band back in 1964, which is a few years before my time, but not by much!